Having celebrated sixth in the MotoGP championship, three podiums and two pole positions with Johann Zarco during its final season with Yamaha, Tech3 dropped to the tail of the timesheets during the start of its new partnership with KTM. 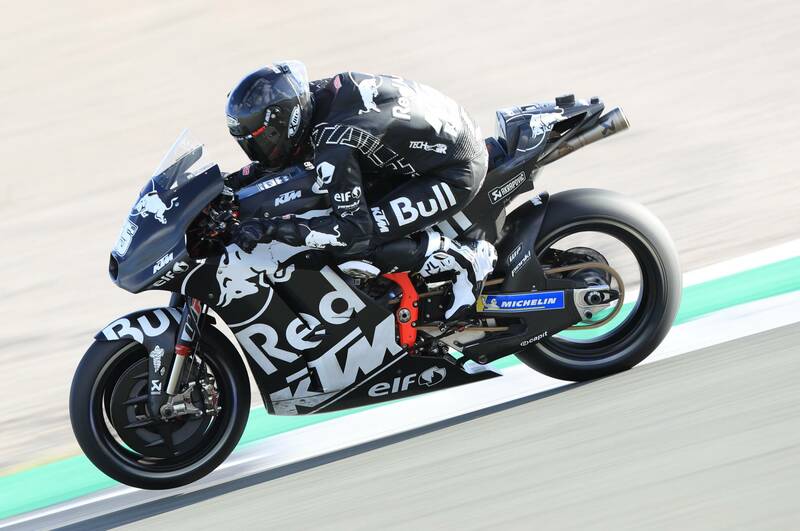 Hafizh Syahrin and new rookie signing Miguel Oliveira, arriving in place of Zarco after the Frenchman's move to the factory KTM team, were slowest of the full-time competitors during the post-season tests at Valencia and Jerez. Leaving Yamaha - whose factory team has won 107 500cc/MotoGP races since 2001, when Tech3 joined the premier-class - for MotoGP's newest manufacturer (a wet debut podium at Valencia, best of ninth in the dry) combined with the departure of Zarco was always going to force a reset in Tech3's results. That's easy to say, but motor racing is not known for patience and the Yamaha stickers had barely been peeled from the Tech3 trucks when some in the paddock were openly asking if they regretted the decision. "This is a big challenge for me and the whole team," team boss Herve Poncharal told Crash.net. "You know, a lot of people are laughing, thinking we made a big mistake. "Some were smiling, laughing, saying 'good luck my friend'. Things like that. "But it's just the beginning. We have to understand a lot of things. So we need to keep calm, work hard, respect all our partners and try to deliver what they are expecting from us. "Of course, I'd like [my riders] to be five positions up, but we need to control ourselves. Right now, we can't play the lap time game. It might sound boring, but we need to work." That's not to say that Poncharal himself didn't do a lot of soul-searching before deciding to part ways with Yamaha. "This was a decision I'd been thinking about quite a lot. You don't end a partnership like the one we had with Yamaha, which lasted 20 years, without thinking, is it a mistake? Is it the right decision?" he said. "But what I found with our new partners was very exciting and, after just the first few days together, it's exactly what I thought it would be. "It's one thing - as a rider, but even more as a team - to join a project that is already winning and another to feel you are going to be, with all humility, helping a new project grow and improve. "We are happy. We have a lot of new faces in our box. KTM also employed a lot of new staff to set up this new satellite MotoGP operation. There are people coming from various other manufacturers. The guy in charge of the support team is from Ducati, for example. "So far it's a really good feeling. For sure you would like to be higher up the timesheet. But also we found out - mainly through Johann Zarco's comments and also Hafizh Syahrin, the two ex-Yamaha guys - that they almost have to forget everything they knew about how to ride a MotoGP bike because the [Yamaha and KTM] are very different. "It's a process that I hope will not be too long, but we have a lot of work ahead of us." Tech3 has taken MotoGP podiums with Zarco, Jonas Folger, Bradley Smith, Cal Crutchlow, Andrea Dovizioso, Colin Edwards, Ben Spies, Marco Melandri, Alex Barros and Shinya Nakano since 2001. But along the way they also had to weather some barren years, including being absent from the rostrum in 2005, 2006 and also 2007 - when its riders were just 16th and 18th in the world championship on Dunlop tyres - and Poncharal is fully aware of the task ahead.